Fresh handmade cosmetics using only vegetarian products, never tested on animals. Bath and hair, skin care, fragrances, soap and gift boxes – all look good enough to eat! 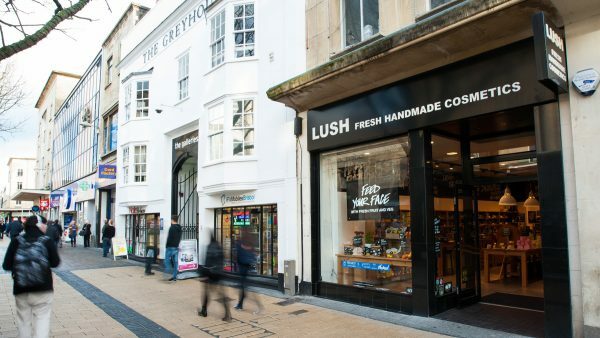 Lush in Broadmead recycle plastic bottle lids (including milk bottle tops) and can also recycle any of their own packaging. You will also find a bin for recycling your plastic bottles outside Lush.